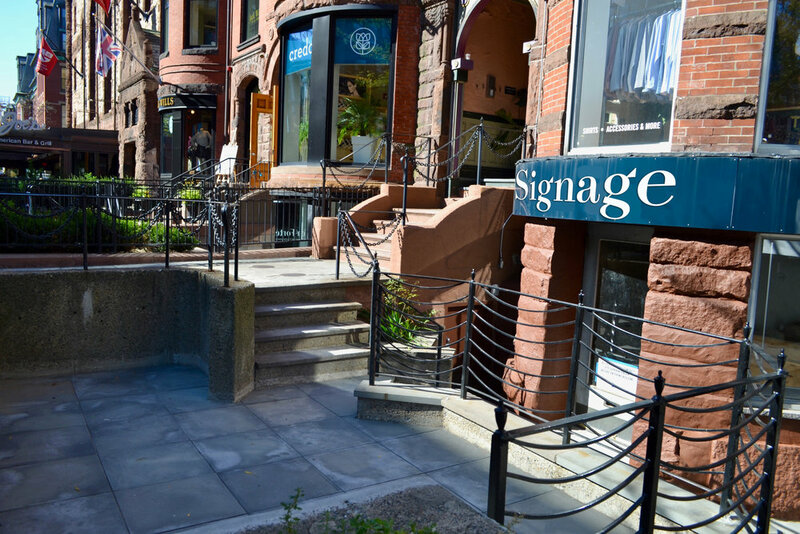 A spacious interior, a great location on a busy block, and rare outdoor space. This large retail or food-and-beverage opportunity is surrounded by high-traffic neighbors and offers hard-to-come-by outdoor space. Whether used for al fresco dining or exciting retail displays, it will draw shoppers into a large, character-filled interior. Though listed as a walk-down space, this opportunity can be combined with the unit above to accommodate tenants who require additional square footage.